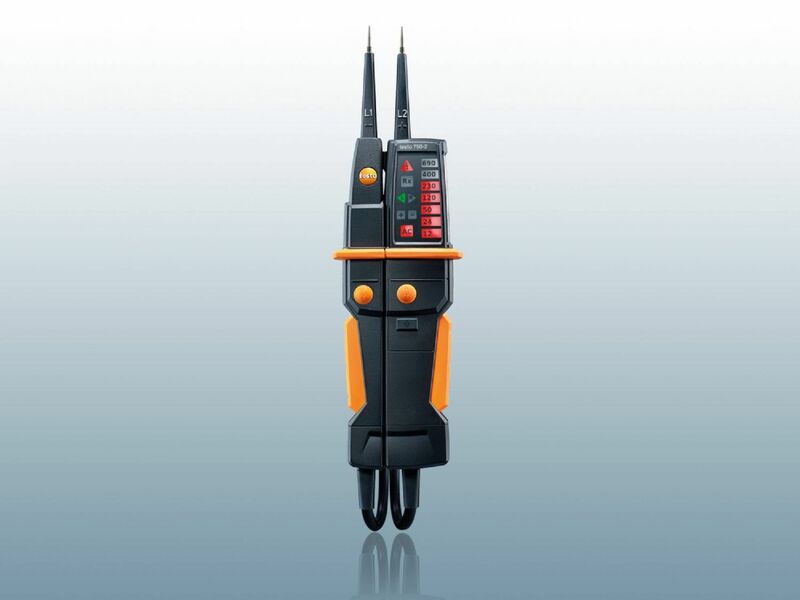 A voltage detector provides you with reliable support when determining if parts are energized. 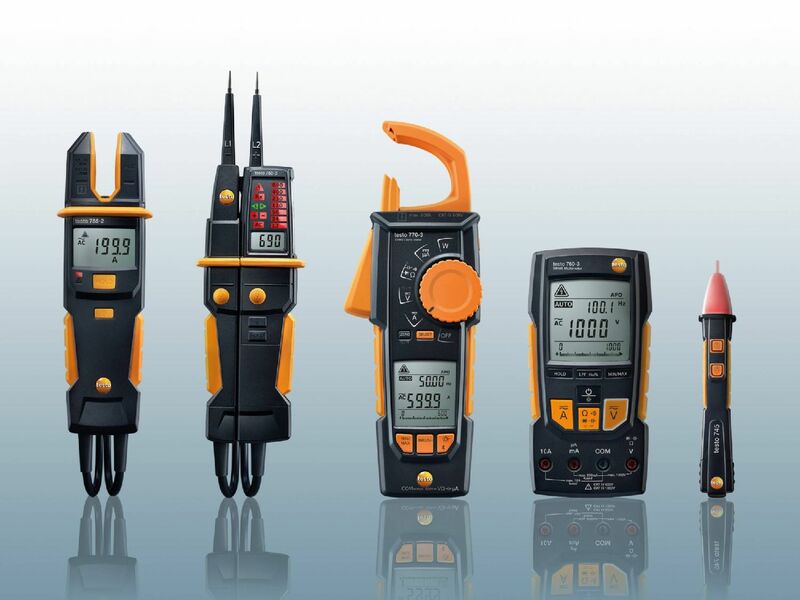 Only Testo has voltage testers with all-round display. Thanks to unique light technology, readings can be clearly seen from any position. 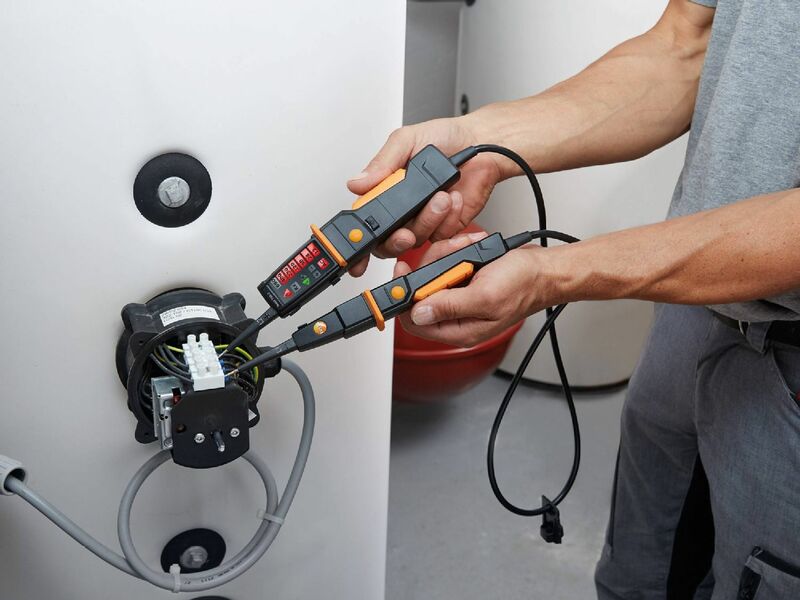 This means you can measure voltage more reliably. tests of residual current circuit breakers via the RC trigger function. stage 2 for the voltage display. 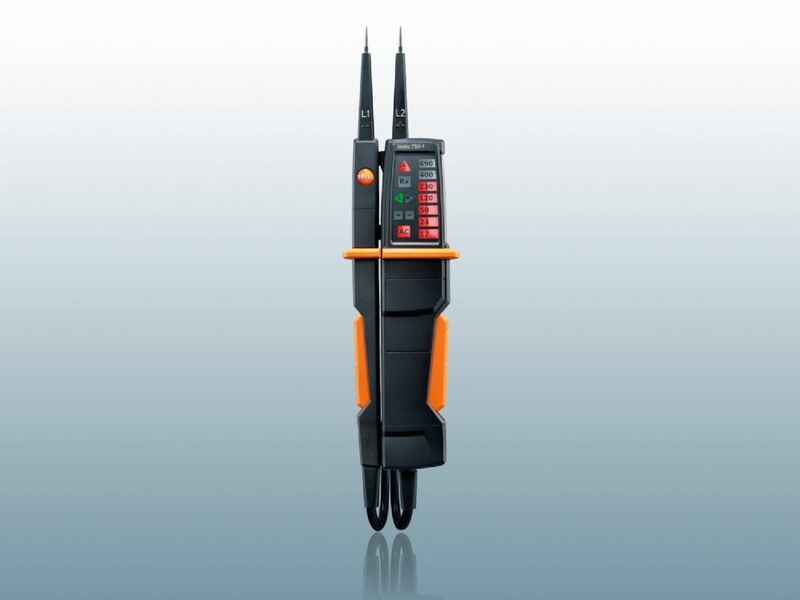 The electrical field strength is detected directly on the conductor via the non-contact phase tester and the associated sensor. 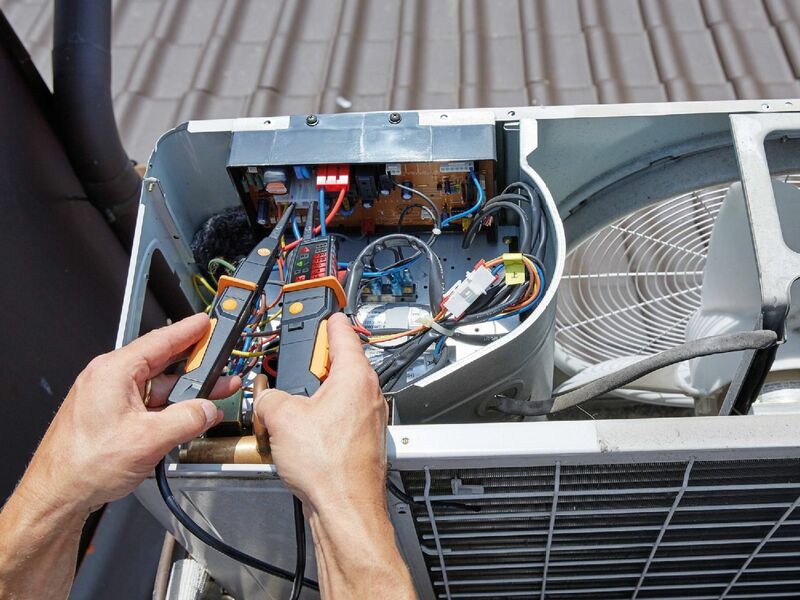 There is also a warning signal if a specific voltage value is exceeded. A micro-controller integrated into the instrument is responsible for the corresponding analysis of the measurement data. 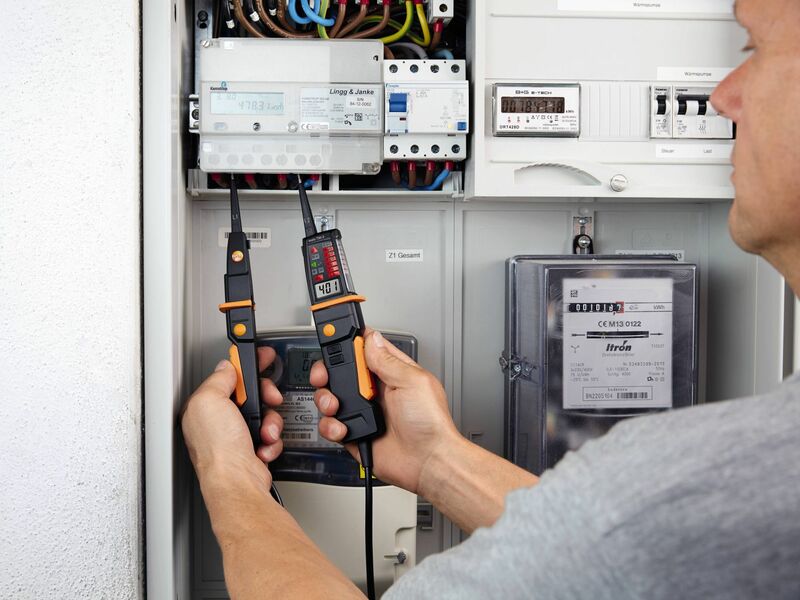 With a voltage detector from Testo, you get an innovative voltmeter which improves safety in a variety of areas. The clear, all-round display means you have no problems reading out the presented data from different positions. In addition, the reading that is currently determined is indicated on a second LC display. Furthermore, in terms of handling, you benefit from the anti-slip ring which optimizes the ergonomics of the handy test instrument. 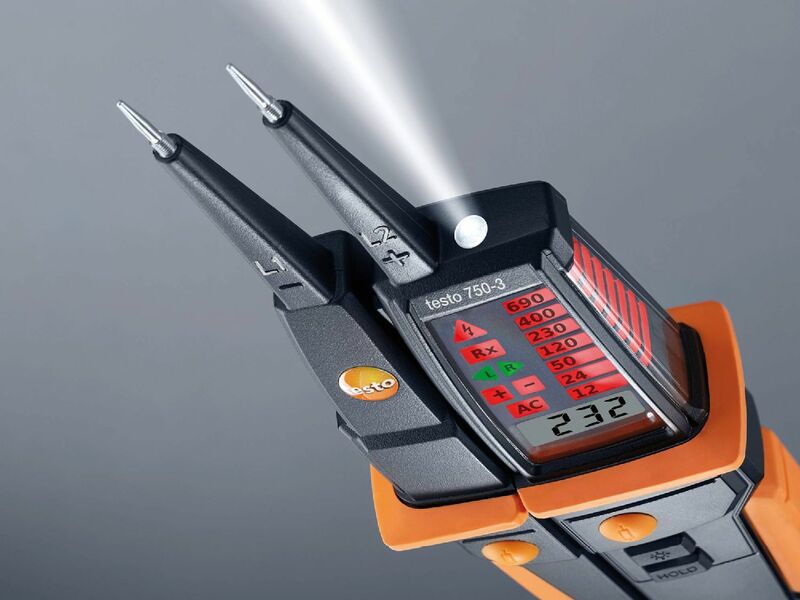 When the voltage tester digital display shows how high the voltage is, the built-in torch can be very useful. In addition, you benefit from the robust housing which reliably protects the measuring technology from outside influences. Further important product details are the accuracy which meets the DIN EN 61243-3:2010 guidelines. 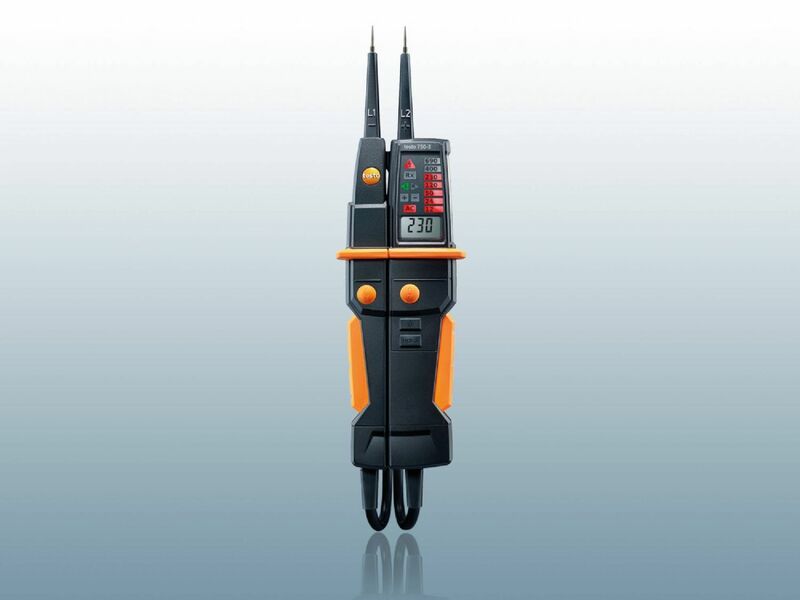 If a voltage tester works in a digital and contactless way, it is suitable for several purposes. The test instruments must primarily determine whether a specific voltage is present in a specific electric circuit or system. 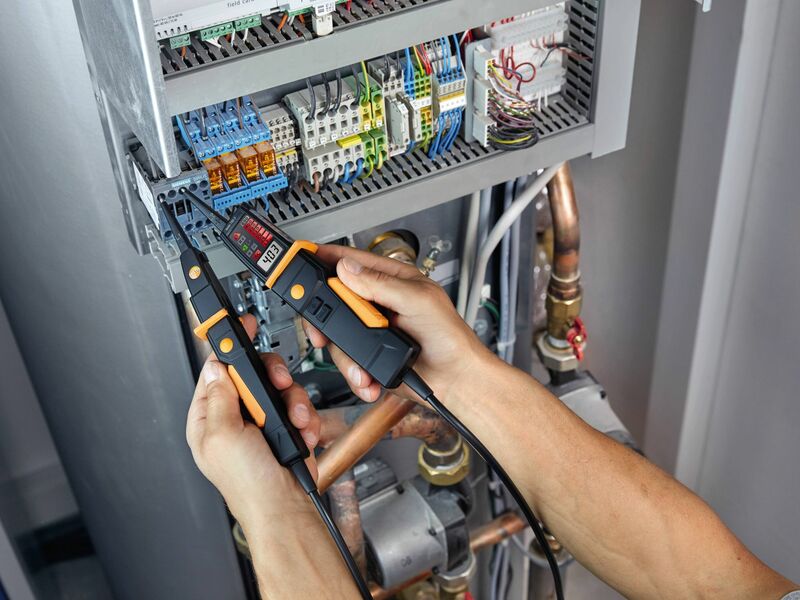 The use of a voltage tester therefore enables you to check whether the technical instruments are actually working in their environment or whether there is a fault source. 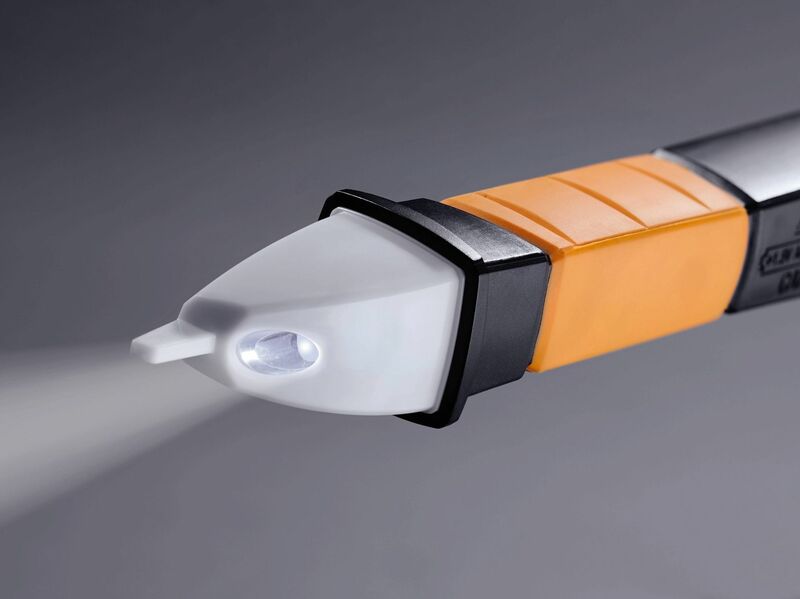 This improves safety for forthcoming work, for example if you commission equipment or approach a power cable.